On Sunday January 29, the commemoration of the Chains of the Holy Apostle Peter, the Administrator of the Patriarchal Parishes in the USA, His Grace Bishop John of Naro-Fominsk led the Divine Liturgy in St. Gregory the Theologian Church in Tampa, Florida. 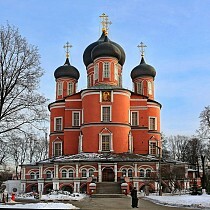 On Friday, January 27, the feast of St. Nino, Equal to the Apostles, the Administrator of the Patriarchal Parishes in the USA, His Grace Bishop John of Naro-Fominsk celebrated the Divine Liturgy in St. Nicholas Cathedral. On January 18-19, the clergy and faithful of the Patriarchal Parishes of the Russian Orthodox Church in the USA prayerfully commemorated the Baptism of our Lord and Savior Jesus Christ. 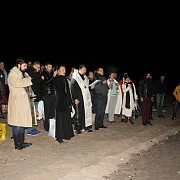 At midnight, January 19, the Great Feast of the Baptism of our Lord and Savior Jesus Christ, the Administrator of the Patriarchal Parishes in the USA led the Great Blessing of Water of the Atlantic Ocean. On January 18-19, the Administrator of the Patriarchal Parishes in the USA, His Grace Bishop John of Naro-Fominsk led the Divine Services for the feast of the Baptism of Christ in St. Nicholas Cathedral in NYC. 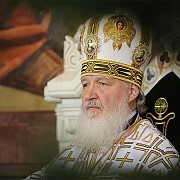 On Sunday, January 15, the Sunday before Theophany and the feast of St. Seraphim of Sarov, His Grace John, Bishop of Naro-Fominsk, Administrator of the Patriarchal Parishes in the USA led the Divine Liturgy in St. Nicholas Cathedral in New York City. 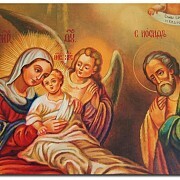 On Saturday, January 14, the feast of the Circumcision of Christ as well as the feast of St. Basil the Great, the Administrator of the Patriarchal Parishes in the USA, His Grace Bishop John of Naro-Fominsk celebrated the Divine Liturgy in St. Nicholas Cathedral. On Thursday, January 12, an official Nativity Reception was held in the Consulate of the Russian Federation in New York City, on behalf of Consul General Igor Leonidovich Golubovsky and the Administrator of the Patriarchal Parishes in the USA, His Grace Bishop John of Naro-Fominsk. On Sunday. 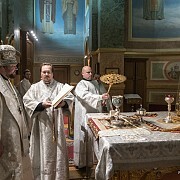 January 8, the second day after the feast of the Nativity of Christ, the Synaxis of the Holy Mother of God, the Administrator of the Patriarchal Parishes in the USA, His Grace Bishop John of Naro-Fominsk celebrated the Divine Liturgy in St. Nicholas Cathedral. New Photos! On January 6-7, the clergy and faithful of the Patriarchal Parishes of the Russian Orthodox Church in the USA prayerfully commemorated the Nativity of our Lord and Savior Jesus Christ. On January 6-7, the Administrator of the Patriarchal Parishes in the USA, His Grace Bishop John of Naro-Fominsk led the All-Night Vigil and the Divine Liturgy for the feast of the Nativity of our Lord and Savior Jesus Christ in St. Nicholas Cathedral in New York City. On Friday morning, January 6, the Administrator of the Patriarchal Parishes in the USA, His Grace Bishop John of Naro-Fominsk celebrated the Vesperal Divine Liturgy of St. Basil the Great in St. Nicholas Cathedral in New York City. On Sunday, January 1, Bishop John of Naro-Fominsk, Administrator of the Patriarchal Parishes in the USA led the Divine Liturgy in St. Nicholas Cathedral in New York City.